Fall is upon us and the winter months are fast approaching. We know many of you enjoy college football. Keep enjoying it and contact us to service your boat and prepare it for the coming cooler temperatures. To keep your boat running great year after year we perform preventative maintenance as recommended by manufacturers so you can enjoy trouble free boating all summer. Thinking of passing on the winterization? Don’t do it. 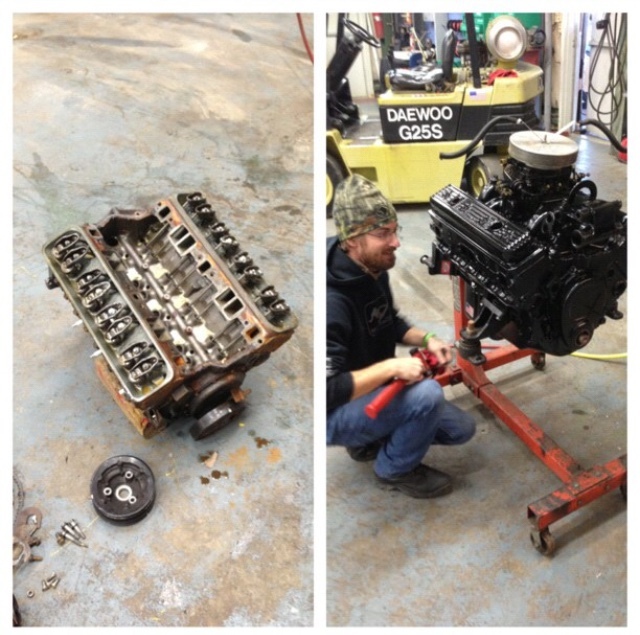 You may find yourself with a cracked engine block, hoses, ballast tanks, or other vital parts of your boat that can be damaged by the harsh winter weather. Most insurance companies won’t cover damage caused by a lack of winterization. 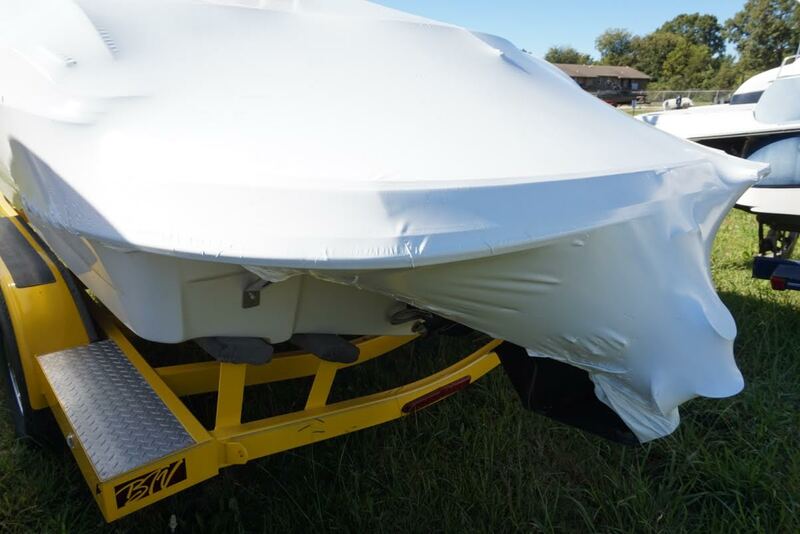 We also offer professional shrinkwrapping for your boat so that its stays out of the elements all winter. 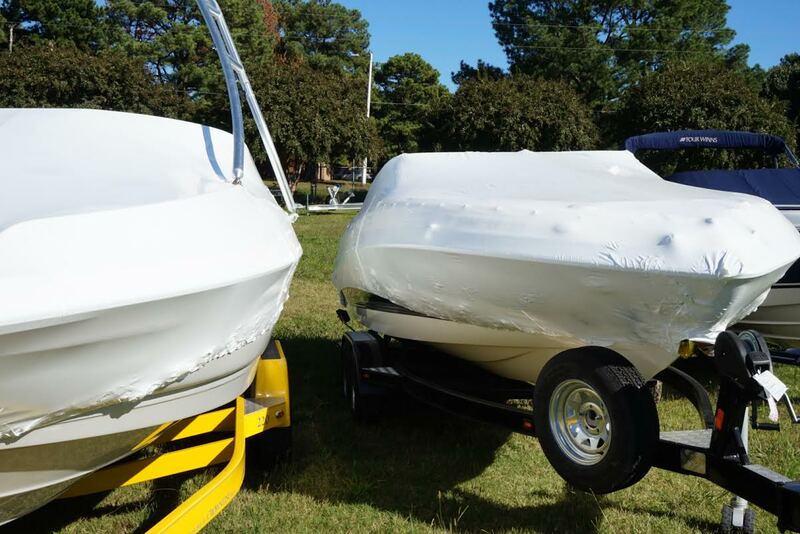 We verify your boat is dry before wrapping and add moisture eliminating products to prevent mildewing. Other than indoor storage this is the best way to protect your investment from the sun and weather when not being used. We invite you to bring your boat in to get winterized and serviced by our factory trained technicians. Contact tim.booker@memphisboatcenter.com for an appointment. The All new 2015 Malibu 23 LSV: Malibu has outdone themselves again with a ton of new features for the 2015 model year. Some changes include: an all new dash, new wedge that allows for less HP and better fuel efficiency even with mega weight, new tower design and a bunch of cool features to make the rider and the drivers life easier and more in control. The All New 2015 Bryant Speranza: With breathtakingly smooth performance while cruising down the lake or taking high-speed turns, this is not your typical 21-foot bowrider. The amenities and details you’ll find with the Speranza prove that size does not define luxury. The New 2015 Four Winns H190 RS: A vivid take on the classic sport boat. The RS Series sport boats have an edgy attitude—and a riveting black-and-blue exterior color scheme that will make your pulse race. This boat is built like a dream! includes a tower with easy to put up bimini top with a breathtaking design. The 2015 Axis T22: The Axis T22 is designed for people who want performance without the big price tag. 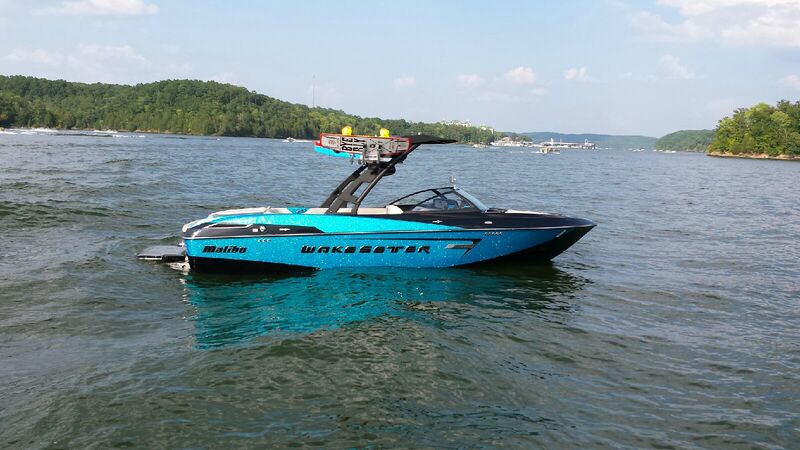 This versatile 22-foot wake machine meets the demand of those who prefer a traditional bow while offering new advances in hull design, styling, and modern day features including the auto-set Wedge and Surf-Gate. Boating season is in full swing and everyone that we talk to is having such a great time out on the lake with their friends and family! 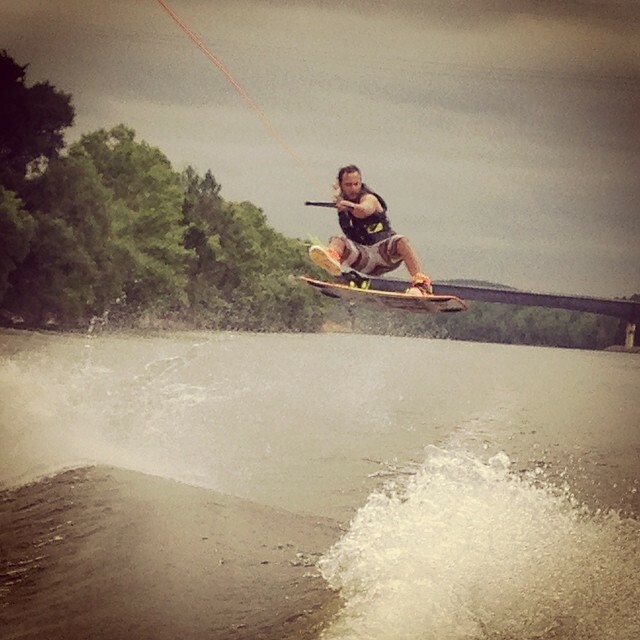 One of the greatest parts about boating is your unlimited options of waters sports that you can learn behind a boat. 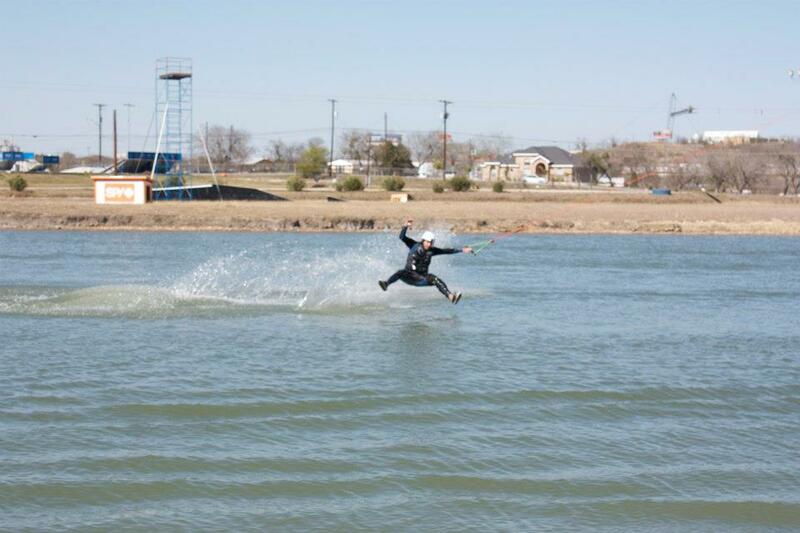 Some of these options include: Two ski’s, Slalom Skiing, Trick Skiing, Ski Jumping, Wakeboarding, Wakeskating, Wakesurfing, Kneeboarding, Tubing, and many more! 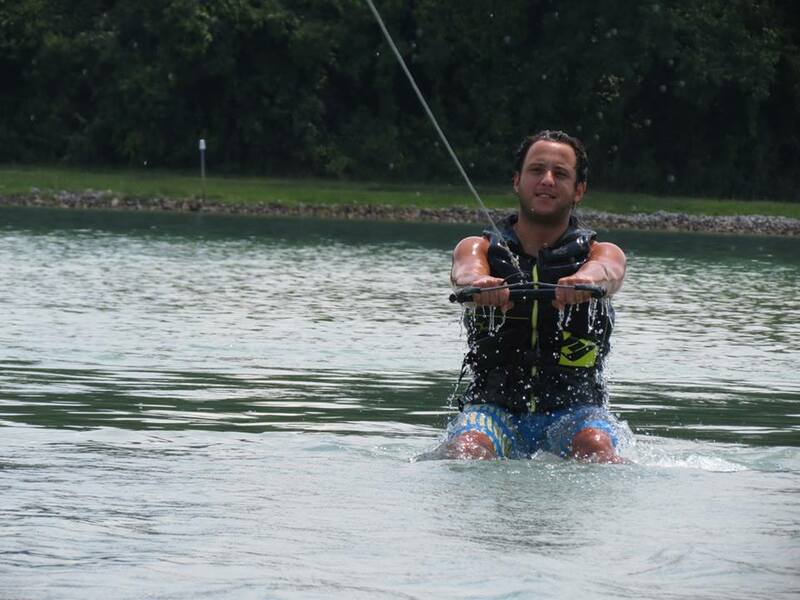 For many of our customers, trying water sports for the first time can be a little confusing or intimidating, but don’t worry, we are here to help! The following are some suggestions that we would like you to try next time you are in the water learning a new sport! -Wear A Life Jacket! : No mater what sport you are trying for the first time, make sure that you always wear a Coast Guard Approved Life Jacket. Life Jackets are designed to keep you afloat no matter the circumstance. 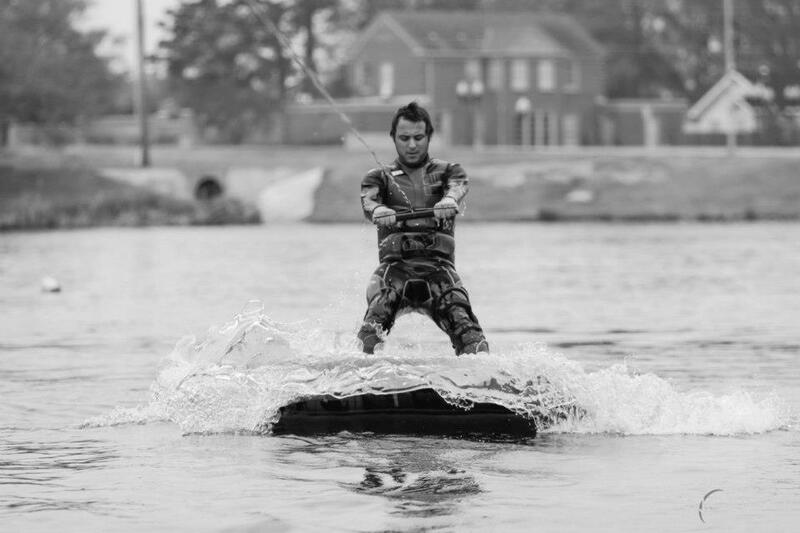 -Establish if you are a Regular or Goofy rider: For wakeboarding, you always want to make sure that you have the right riding stance before starting in order to make it easier on yourself. There is a quick easy way that you can find out what stance you are. While standing up straight with your feet together looking straight ahead, have some one gently push you backwards. 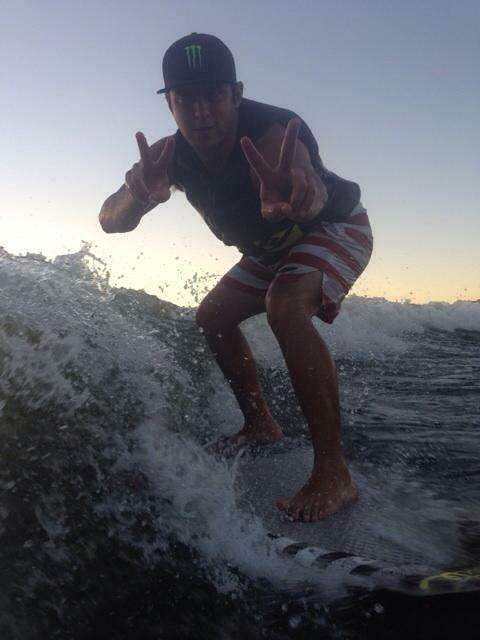 The first foot to step back and stop your momentum will be your back leg on the board! Easy! If you are left foot back, you are a Goofy. If you are right foot back, that means you are Regular. -Stay Relaxed: The point of water sports is to enjoy the water and the boating lifestyle. If you keep yourself relaxed and have fun, you will enjoy the experience much more. No one has become a professional after the first day of riding, so make sure not to let yourself get frustrated and keep trying! -Let the boat do all the work! : Many people try to fight the boat to get up and as soon as the boat gets going, they try to pick themselves up by pulling their arms in and slowly getting up. I’m not sure about you guys, but a tug of war between me and a 350 horsepower engine will have the engine winning every time. Before the boat gets going, make sure to keep your arms straight and low, your legs bent and your back straight. Once the driver begins to pull you up, let the boat do all the work for you. All you have to do is lean back and resist the boat’s pull and stand up with your back straight, arms straight while keeping them low, and keeping your hips over the board or ski, just like you would if you were doing the squats or one foot press at the gym. -Boat Speed and Rope Length: When learning any watersport, you want to make sure that you are going rather slow. 14-18 miles per hours are great speeds for a beginner. Make sure you have the rope set all the way in for a beginner as well. Slower speed falls are a lot softer for beginners. Remember to always have a spotter on the boat and to always have enough jackets for everyone on board. If you have any questions or want to talk to one of our guys about the best board set up for you or a few quick tips on riding make sure to call us at (901) 744-4444. It happens to all of us… We are finally on the water and enjoying the lake, when suddenly we realize that we have forgotten to bring the snacks for the kids, waters for the coolers, or a first aid kit for any cuts or scrapes. “how could i have forgotten it!, i put it on the counter so that i would see it on my way out!”, says everyone in frustration when the one thing they need at that exact moment has been left behind! Here at Memphis Boat Center we tend to be on the water a lot and we constantly leave things behind such as paddles, dock lines, towels, or first aid kits. Some even ask us why we go out of our way to have some of the items in the list of intangibles that we are about to share with you, but the answer is plain and simple. 9 out of 10 times you will never have to use some of these items but on the 10th time if your stuck without it, the day can turn into a bad experience on the lake. So we have gotten together and come up with a list of items you should always pack before leaving the house and double check that they are with you before putting the boat in the water. Phone: Make sure that it has a full battery. Have one phone on the boat to be used only for emergencies. Paddle: Trust us, if you run out of gas, or your boat doesn’t crank in the water, paddling back with wakeboards and ski’s is not a fun experience. Yes, we have done it. Sunscreen: Its always a good idea to have extra sunscreen on the boat and to put it on multiple times a day. If not, all the alo vera in this world would not be enough for the pain that is sun burns. Towels: When you come out of the water for the last time its always nice to have a dry towel to dry off so that you do not get cold from “air drying”. Change of Clothes: At the end of the day it is always better when you get back in your car wearing dry clothes, avoiding a long ride home in a wet bathing suit or shorts. Along with the dry towel, a change of clothes are the best combination once you have come out of the water. 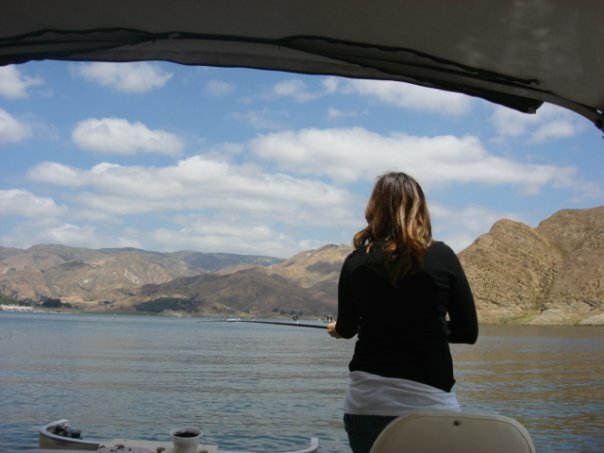 Sunglasses/Hats: Protecting your eyes is one of the most important things that you can do out on the lake. With sunglasses and hats, you do no not only protect your eyes but also avoid migraines or head aches that are caused from a full day out on the sun without eye protection. Dock Lines/Bumpers: If you ever want to tie up to other boats or to a restaurant or marina, if you do not have dock lines you will find yourself sitting next to your boat holding it at all times. If you do not have bumpers, the possibility of your boat getting scratches increases significantly. Water/Snacks: Water could be the most important item on this list. It is a good idea to have plenty of it and have it iced down. If the forecast is warmer than usual, bring more waters to avoid heat exhaustion or dehydration. Snacks are also important since because they will give you the energy and protein that you loose throughout the day. First Aid Kit: Every once in a while an accident will happen that will require someone to clean up a scratch or cut. Lake water can be dirty and contain bacteria so by having a kit on the boat the chances of getting a cut infected decrease since you can clean the wound as soon as you come out of the water. Tools: If you go to Lowes or any store like it you will see a 6 in 1 combination screw driver. This tool is awesome on the boat and will help you with any small fix that you need to do on the water. Cash: Always make sure you have extra cash on you when you go to the lake. In case of an emergency cash is accepted anywhere, and some boat ramps do not take credit cards. No matter where you are going, if you take everything on the list on the boat with you, you will be sure to have a great stress free and problem free day out on the water. if you have any other items you would like us to add to this post feel free to comment below!!! Look up and experience the life you are missing! Does technology make the world better or worse? This is a simple question that I have been thinking about for the past few weeks. Sure, it’s nice to have a smart phone that can connect you to your social media sites, send emails, take photos and post them on the internet, and put you in contact with anyone by dialing a number. That being said, none of my best memories include a cellular device. Most of our memories are of us doing something fun, exciting, interesting or new. While we create these memories, we have unplugged from technology and opened our eyes to the world, our friends, our family and our lives, instead of constantly having our heads down looking at the screens on our phones. Mail Online recently published an article that claims each person, on average, spends about 2 hours a day looking down at their cellphone! They even took it a little further and claimed that those 2 hours are a third more than the time spend interacting with our significant others! I have talked to friends and their families about what they think of technology. Everyone seems to be happy that you can have everything at your fingertips, but yet often feel lost without their phones. How can we break this feeling? How can we get away? I am writing this post today, because I tend to be on my phone a lot during the week. Sometimes it is because of work, but more often than not, I am on social networks that were created to digitally share memories with other people. I see it as your own different online life. How can we unplug? How can we forget about our phones and just enjoy our families and friends, and communicate without interruption. Quality family time is really hard to come by these days, but I will guarantee you that no matter how addicted you or your kids might be to technology, going to the lake with your family can provide that much needed quality time together. Meet My Dad, Enrique Sr. I was blessed to be born into a wonderful family. I am the youngest of three, and the only boy. I moved to a boarding school in Mississippi in 8th grade, leaving my family in California at a very young age. While it is hard to be far sometimes, my parents have always been extremely supportive of me, even if they didn’t want to be deep down. Now that I live in Memphis, and my middle sister is in New York, we cherish any time when our whole family is together, and this story is no exception. My parents are the type of parents that always want to have memories with the family, so it’s simple, if we are together we are not on our phones. 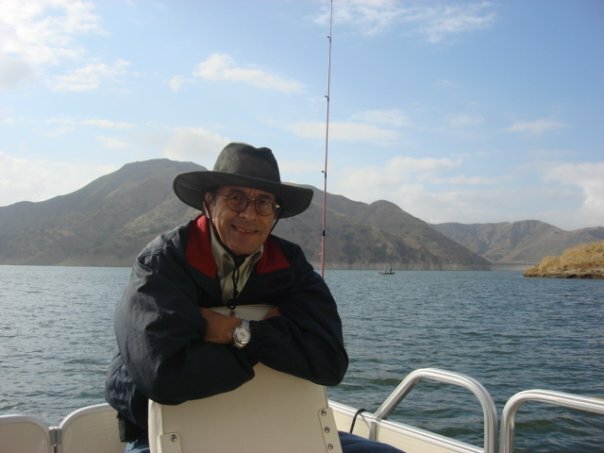 My middle sister has always been the keeper of this rule and has been known to take phones away if you pull them out during “Family Time.” For Father’s day a few years ago, we decided to go to our local lake in California and go fishing for the day. I quickly found out that my two very smart and very beautiful sisters had no idea how to fish. The only time they had fished before was in a stocked lake full of trout where you could probably stick your hand in and grab a fish. After laughing to myself for a few minutes watching my sisters trying to figure how to get a hook on the line and bait the hook, I decided to be a good brother and teach them how to do it. This was my biggest mistake. If you do something once, be prepared to do it every time after that. I was getting asked to put hooks on and baits on hooks the rest of the day because the hooks were “sharp” and the bait “smelled gross.” I still get a kick out of it looking back on it. Where are all the fish we caught? 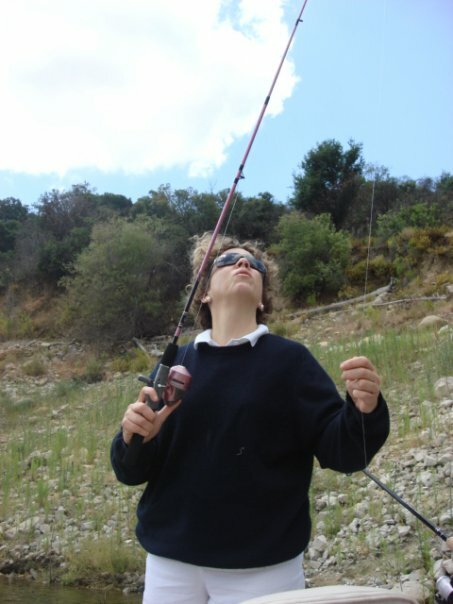 The Eldest of three, Fernanda fishing like a pro! We only caught one fish that day, but that didn’t bother anyone because we had such a great time together. The great thing about a boat is that you are constantly involved with everyone else on the boat. No matter how stressful your week has been, everything seems to slow down once you get on the boat. I call this sensation being “unplugged” from the world. I challenge you to look up the closest lakes near you, we even have a post so you can find one in our area here. Check if there are any places that you can rent a boat for the day and discover boating with your family! It’s an incredible experience that will leave you wanting more. And remember that no matter what you like to do on the water – fishing, wake boarding, or just cruising – Memphis Boat Center has the right pontoon boat, bow rider, or ski boat just for you and your family! Go ahead, make great memories with your kids on the water. Find your getaway and get Unplugged!